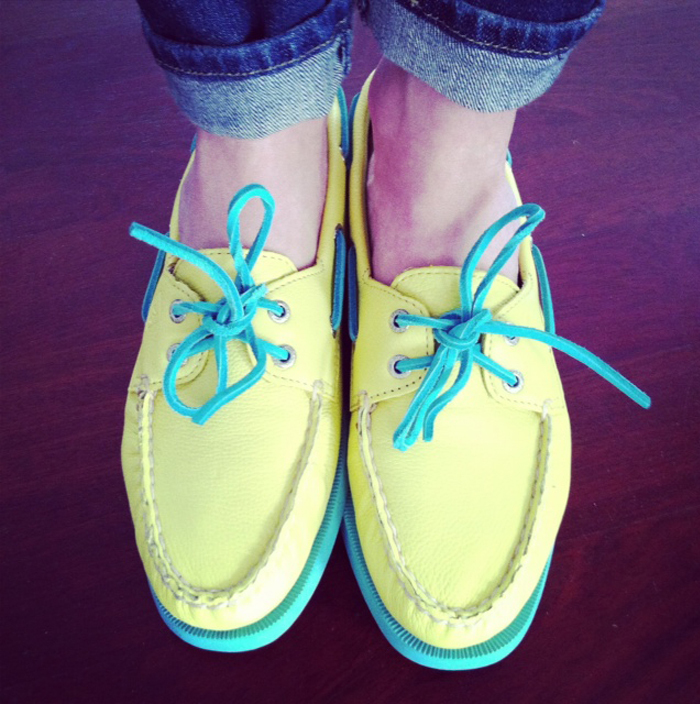 My new Sperry's. Love the bright color, yellow and mint. Can't wait when the summer starts!